I’m one of those owners who believes less is more when it comes to dynasty leagues. I know there are some of you out there who are in 15 or more dynasty leagues. That isn’t for me. I’m someone who likes being able to recite my rosters from memory. I enjoy knowing exactly how much it hurts or helps me when someone goes down with a sprained ankle. I’ve found the sweet spot for me is right around five dynasty leagues (and then I do a few redrafts as well with co-workers and friends). In order to get to that number, I had to drop a few leagues. I decided each league I was in had to have something unique about it if I was going to keep it. This allowed me to get to my desired number of five leagues, and I was very pleased and told myself I wasn’t even going to consider more. 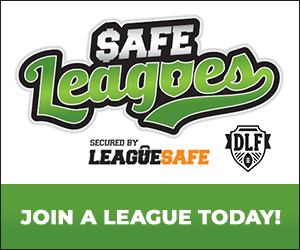 Never say never, because just a few weeks after I made it down to five leagues, I was asked to be a part of this DLF writers’ league on RSO. 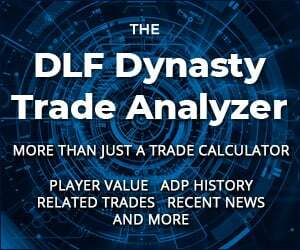 A few years ago, the DLF partners decided to start up a pair of leagues for the writers, one standard PPR and the other an IDP league. These are two of my favorite leagues because the level of competition is so high. I take great pride in saying I won the PPR league in year one and was the runner up in year two. In the IDP league, I’m the only champion the league has ever known. I love taking on the best and seeing how I fare against them, so how could I say no to the RSO league with 15 other DLF writers. It puts me over my five league mark, but I think it is going to be worth it! If I’m being completely honest, I was a little leery of the setup at first. The setup and the rules for the league were very rigid, and we were pretty much told how the league would function. Looking back on it now, I realize this is because all of the good people at RSO have put in a ton of time thinking about the setup and the way things should run, but at the time I was a little turned off by it. I gave them the benefit of the doubt though, and I’m glad I did. While I might not agree with them 100%, they definitely have reasons for the way they did things, and I definitely can’t argue with the final product! The startup auction on RSO was the most enjoyable and exhilarating startup I’ve ever had that wasn’t in person. My favorite parts of the RSO auction format were the pace. The pace of the auction is fast and furious. We went with the recommended 20 second nomination period and 10 seconds per bid. Meaning each time someone made a new bid, the clock would reset to 10 seconds. That isn’t a very long time when you are trying to check rosters and make decisions which will impact you for years into the future. There were more than a few times where I could feel my pulse race just a little bit during the bidding or where I felt a thrill of victory when I “won” my guy. Of course the other part of it is making sure you don’t get emotional and just keep bidding because you need to win, even if it is a massive overpay (this happened more than a few times during the auction). My other favorite part is the strategy which went into it. When I was first told we were being limited to a pair of four year contracts, three contracts of three years, and then four contracts which were two years in length, but we had 25 man rosters I was a little skeptical. That means the majority of your roster is going to be one year contracts. Isn’t this a dynasty league? Once the auction started, it became clear why this was. Much like in the NFL, if a player is getting a longer term deal, they are willing to take less per season in exchange for the added security. For example, a 4 year deal for 20 million (5 million per season) would win out over a 1 year deal for 6.5 million. Those are just example numbers, but you get the picture. This made it extremely important for you to choose wisely with who receives the longer contracts. It offers significant savings but on the other side of the coin you are guaranteeing a large portion of their contract and you are limited to just a handful of long deals. I absolutely loved this piece of it! Get an elite, proven receiver early on a 4-year deal. Julio Jones, Dez Bryant and Antonio Brown were my primary targets with Calvin Johnson or Demaryius Thomas as fall backs. The reason I wanted them early is in the vast majority of auctions I’ve been in, the first 10 players go much cheaper than players at similar talent levels later in the auction. Since this was a DLF writers’ league, I expected most owners to overpay for young and unproven, especially rookies, making them very poor values. Given the limited number of years on the contracts, I would much rather have a proven, 27 year old veteran for 3 years than a 22 year old rookie at the same price. I also expected most of the owners in the league to ignore the running back position in favor of receivers. The thing is, if we are only talking 3 years out, the longevity argument loses an awful lot of weight. Eddie Lacy should post very similar fantasy points to his teammate Randall Cobb for the next 2-3 years. I was guessing Lacy would be significantly cheaper though due to the position he plays and the views of most in the league. With only 32 NFL teams but 16 teams in this league and we need to start at least two running backs per week with two more startable in flex spots. For this reason, I wanted to secure multiple starting running backs. There are a lot of fantasy viable receivers but a much smaller number of running backs I would want to start each and every week. In my other contract/salary leagues, the top tier quarterbacks are expensive, but your back end QB1s and high end QB2s are great bargains. I wanted to ignore the top tier and get someone like Eli Manning, Tony Romo, or Ben Roethlisberger at a reasonable price. Once the auction got underway, things went mostly according to plan. I was able to scoop up Antonio Brown on a four year, 96.5 million dollar contract about 15-20 players into the auction. Once the auction was all said and done, this was tied for the sixth highest salary for a receiver. It wasn’t quite the deal I was hoping for, but got my elite receiver on a four year deal and I’m happy with it. I really didn’t intend on picking up six of them, but some of them were absolutely great deals. I’m not thrilled with Lynch as he ended up being the most expensive running back, though the good news is if he retires there isn’t a cap hit. As for the rest, Foster has the fourth highest contract, but it is just one year. Peterson is eighth, Lacy is 11th and the other two are outside of the top 25 for running back salaries. Considering Lynch, Foster, Peterson and Lacy should all be top ten if not pushing for top five this year in running back points, it should pay off. As I expected, they were significantly cheaper than receivers who could post similar numbers. I mentioned Foster was the fourth highest running back, but the twentieth contract overall, just to give a little perspective on the price point of the position. Since I had an embarrassment of riches at the running back position, I hit the trade block during one of our multi-day pauses. I was able to trade Ingram with a second and a third for Torrey Smith (6 million per year for 3 years) and a 2016 first. I was pretty confident in the way my team was shaping up, so I figured I was trading picks around pick 30 and pick 45 with Ingram for Smith and something which is hopefully top 10 in the 2016 draft, though the other owner has a very solid team. I was pretty pleased given my wealth of running backs. The one area I made a mistake on was quarterback. I kept expecting the quarterbacks to get cheaper, but they never did. I spent my money a little too quickly and ended up scraping the bottom of the barrel for a quarterback. I plan on trying to trade another running back to help out with my lack of a quarterback, but if I don’t I’m hopeful my strengths at the other positions will make up for it! On paper I like my chances, especially if I can fix my hole at quarterback. Considering I’m currently walking into the 2016 draft with a pair of first round picks I’m even happier. Here is my complete roster with their complete contract. Minimum contracts are players which can be dropped without any penalty. They are listed as a 0.5 million contract for a single year but are also the players you drop to make free agent moves or to make room for trades. The auction on RSO was some of the most fun I’ve had with fantasy football in a while now, and I can’t wait to see how the league plays out over the next few months and years. 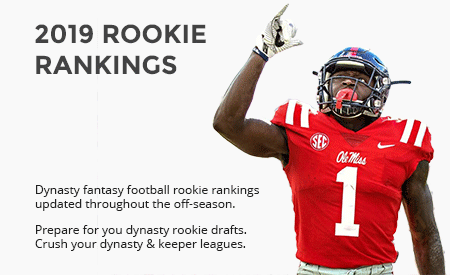 If you haven’t tried RSO yet, at the very least pop over and participate in a mock draft with a few friends or just with the AI. It is great fun! 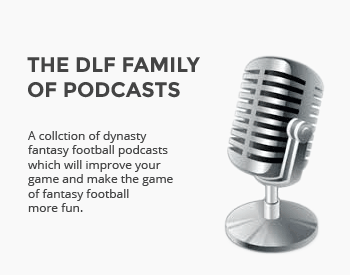 Remember, you can use the Promo Code “DLF10” to receive a 10% discount. Hey man I think you killed the auction. But I was wondering, why/how do you have so many 4 year contracts? I thought you were only allowed 2? As for the 4 year contracts, we only had two for the startup portion. Prior to the startup we had a 2 round rookie draft for any and all rookie not drafted in the first 2 rounds of the NFL draft. So players like Cooper, Gurley, etc joined the startup auction but players like Conley and Zenner were in the rookie draft. The rookie draft (and all rookies going forward) are assigned 4 year contracts. So my 2 four year contracts were Brown and Latimer while Conley and Zenner were my rookie picks. I agree with SJC, this is the best team I’ve seen from this league. you should be able to trade into a better QB. I’m in a 16 team league as well and QBs are never cheap as the top 16 are much better than the bottom 16. My name is Gina and I am the webmaster for a website that provides sports betting, DFS and eSports information, odds, predictions and sportsbook reviews. We have started a section targeting the US market and I am looking to buy advertising for this section. I was searching sports and gaming sites when I came across your site https://dynastyleaguefootball.com and I would be very interested in having some type of advertising on your site.